What is SolarCoin and does it matter to the UK Solar Industry? You may have recently heard about SolarCoin (§), although it has been around since 2014, the currency started to hit the energy headlines with ACWA Power becoming the first utility PV developer to begin to use SolarCoin. At NDE we heard about the currency a few days ago, discussed at a Solar Trade Association meeting. So, what is it? What is it for? Is it any use? SolarCoin is essentially another cryptocurrency, the most famous cryptocurrency is the one which started it all, Bitcoin. Without going into too much detail, a cryptocurrency is a type of electronic currency which uses cryptography to secure its transactions. All transactions are recorded via a distributed ledger, the blockchain, a VERY big tamper proof database decentralised over many computers across the world. In order to receive SolarCoins, like any other cryptocurrency, you use a wallet, this is a secure personal database where you keep the address of your coins on the currency’s blockchain, and your personal keys to these coins. You can either download a program to keep a wallet on your computer, or use an online service. After this you can then register your photovoltaic system with solarcoin.org, who validate applications at the beginning of each month. You receive SolarCoins for every MWh of electricity generated. In terms of systems smaller than 100kW, this is a deemed production (365 days * 24 hrs * 15% * Your kWp Nameplate Capacity/1000). This works out to 1.314 * your installed kWp nameplate capacity = §1. Larger systems require a form of metering that can be validated. The initial SolarCoin grant is retroactive to the install date of your facility or Jan 1, 2010; whichever is more recent. 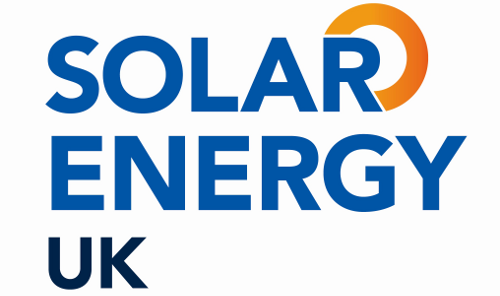 Whilst there have been concerns over the use of energy by Bitcoin, SolarCoin uses a much lower amount of energy as it is based on a proof-of-stake system as opposed to a proof-of-work system. SolarCoin began in 2014, based on an idea first presented in 2011 for an Electricity-Backed Currency. If you are already involved in renewable energy, instead of thinking of SolarCoin as a variant of the technology behind Bitcoin, it is better to think of it as a global equivalent of the Renewables Obligation Certificate (ROC). 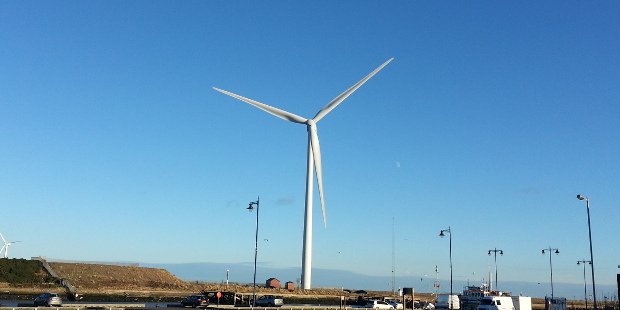 Within the UK, these were gifted to accredited renewable generators per MWh of green electricity produced, and then traded on a market. This is a useful analogy, because it gives us an idea of the necessary value for a Solar Coin to make a difference, and also shows a model that SolarCoin could replicate globally. Sadly, ROCs are now closed to new entrants. In terms of ROCs, energy suppliers were mandated by government to produce a certain level of green electricity, if they failed, then they would be fined. However, if a generator did not have enough renewable generation, they could instead buy ROCs from green generators. Two important factors here, first, the value of a ROC varied between around £36.99 in 2010/2011 to £45.58 in 2017/2018. The amount given to technologies varied from 2009 onwards, with ground mounted PV receiving 1.7 ROCs/MWh in 2013/2014, and 0.8 in 2016/2017 (a variation from £71.43/MWh of solar in 2013/2014 to £36.46/MWh of solar in 2017/2018). This value was enough to support the UK electricity market, and make wind farms and solar farms financially viable, and create enough interest from investors to support UK renewables. This is not about just making renewables competitive, as they often already are, it is about making them of interest enough so investors who otherwise would not care about renewables move into this market, and lead to more renewables being constructed. It is important to note that this doesn’t involve a large percentage increase in Solar Coin, currently it is trading at £0.5/§, so it would require a roughly 100 fold increase, which in the world of digital currencies is not impossible. Remember, from 2010 to today Bitcoin varied from $0.003/BTC to $13,800/BTC in 2018, with much volatility in between. However, for SolarCoin to be truly useful it needs to be far more stable than Bitcoin. Whilst a value of between £36 and £71 per Solar Coin would give a financial case for solar farms, what about domestic renewables? We will demonstrate this with a model based on Newcastle upon Tyne, as this is the nearest city to our offices. In 2016 there was a major crash in the solar PV industry, which it has never recovered from. 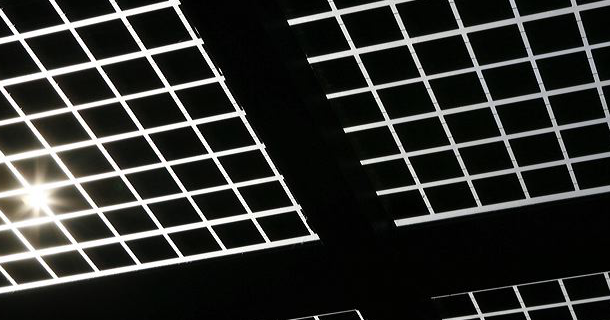 This was caused by a reduction in the Feed in Tariff from £0.1233/kWh to £0.045/kWh, and resulted in approximately 18,000 redundancies across the industry. The purpose of this was to reduce electricity bills, and was estimated to reduce the estimated electricity bill in the UK by £0.50 a year. In addition, there is an export tariff, which is £0.0503/kWh against a deemed export of 50%. If we take the 2015 Feed in Tariff as the value which sustained a strong industry, then equating the Feed in Tariff and deemed Export Tariff gives us £148/§ as a target value. This depends on many factors. If the use of the PV was 100% with no export, even without SolarCoin the payback would be just over 8 years, with SolarCoin at £148/§ the payback would be just over 4 years. Other options, such as domestic batteries, will obviously change the economic models. 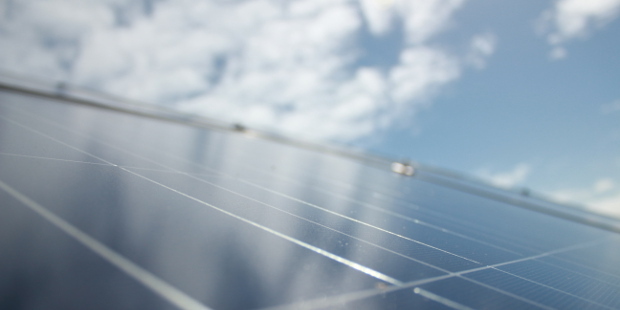 Clearly, for the UK, a modest increase in SolarCoin could help the solar industry. The problem is, whilst previous policies have shown these values to work, SolarCoin requires stability, something which cryptocurrencies do not display, partially as they all follow Bitcoin values, which as the current fashionable cryptocurrency is currently in the state of being an investment option rather than a form of currency. However, the values which SolarCoin needs to achieve to make a significant difference in the global solar industry is not that much of a jump. In terms of simplicity, cryptocurrency is far more complex to deal with than a simple Feed in Tariff submitted four times a year, and if as an industry this was to be taken seriously, possibly an organisation such as MCS could receive and distributed SolarCoin to domestic customers, this would have the added advantage that as all domestic PV should be installed by MCS accredited installers, then there would be a verifiable record of PV installations from MCS which SolarCoin could use to know who should receive coins. In short, we feel SolarCoin is something worth watching, and if there is increased stability and a modest increase in value, then it could have a major impact on renewable developments in the UK, and logically have similar impacts globally, and thus help society move towards the levels of renewables necessary to make the reductions in greenhouse gases mandated by climate science. 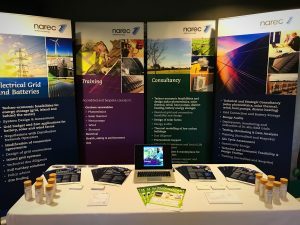 At Narec Distributed Energy, we get very excited about new things which can help renewables, and we just registered our renewable energy training centre in Blyth to get SolarCoins. We train electricians how to install solar, design solar farms and sort out grid connections for solar/wind/battery farms. 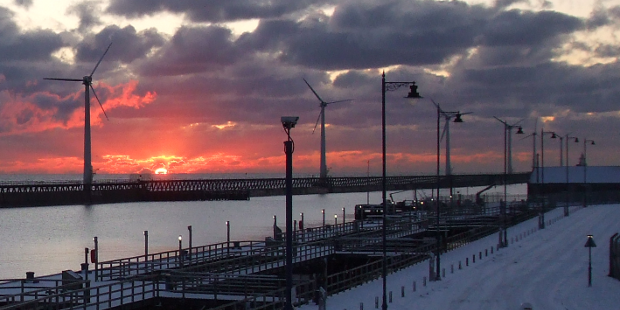 Thanks to the STA for checking the solar facts within this blog. It is generally understood COP falls off with increasing temperature difference; hence it follows the COP when producing hot water is expected to be lower than that for space heating. 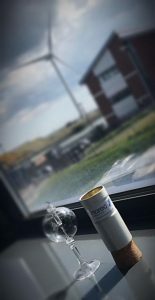 However, the COP quoted in sales literature is often that measured for space heating performance and few, if any, studies have made a direct comparison of the COP when heating domestic hot water only. Comparing like-for like performance requires a standard test method. EN13203 tapping cycle no. 2, reflects typical DHW energy use of 5.845 kWh/ day, around 120 litres, in line with the SAP predicted consumption for a 3 bedroom property. This article summarises the test results for a number of water heating technologies, enabling some comparisons to be made. To ensure straightforward comparative testing, the test rig subjects each DHW unit to EN13203-2, tapping cycle no.2. The same tap cycle is also used in EN16147:2011, known as tapping cycle M.
The tapping cycle has 23 draw-offs during the day, from 07:00 through to 21:30. Each draw-off starts at a fixed time of day (as Table 1), and ends when the appropriate quantity of hot water heat energy has been delivered. Hence, fixed quantities of energy are drawn-off, not specific volumes of water (e.g. 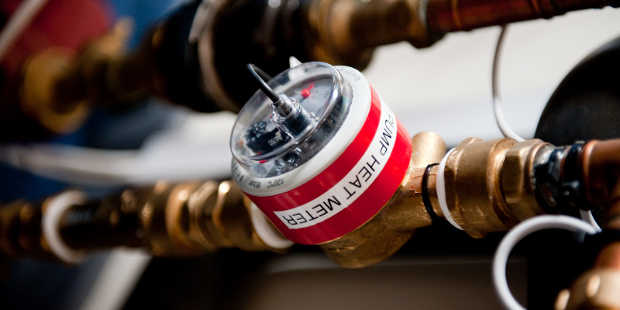 if the water temperature is cooler, the valve is open longer until the required heat is measured). The total daily draw is 5,845Wh per day. The COP values in the tables include the tank heat loss as part of the hot water load in order to give a realistic comparison with what would be achieved in service, whereby the system would have to produce energy to overcome the tank losses. The thermodynamic system is a single panel, 210 litre unit with compressor and ancillary equipment housed in the top of the tank casing. The unit was fitted with a timeswitch to ensure it only operated between 6:30 and 21:00 hrs. In general, the unit would heat the cylinder and switch off on its thermostat by around 3 or 4pm, the setpoint being 55°C. Table 2 shows the monthly average data for the unit. The data presented online (http://www.narecde.co.uk/thermodynamic-panel-data/) shows the total daily COP and irradiance plotted as a bar chart. Fig. 1 shows the results for June. The COP (including the tank loses) is very close to 2.5 on several occasions, surpassing that required to qualify as renewable under the European Commission Renewable Energy Directive. On 12th June it is 2.50. Two flat plate collectors are mounted on the building roof at 30° tilt angle, with total aperture area of 4.2m2 feeding a storage volume of 300 litres comprising 150 litres dedicated solar volume, 150 litre with back up via a immersion heater timed for 5pm to 8pm, setpoint 55°C. The solar controller was set similar to industry good practice settings of 65 maximum tank temperature, dT on of 6° and dT off of 4°C. 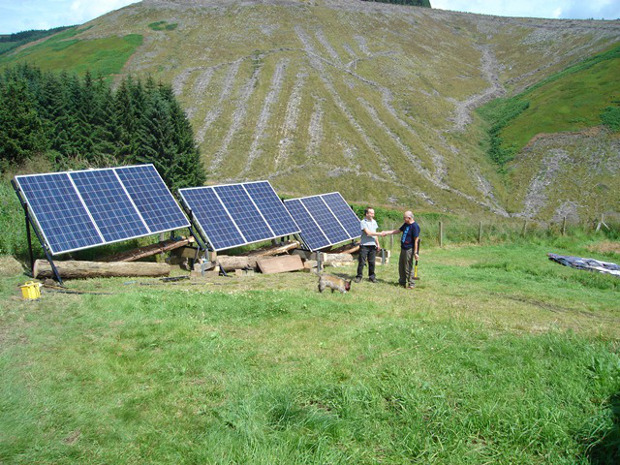 The test commenced on June 6th, with solar contribution from June 10th (due to a sensor fault). Fig.2 shows the results for June. The daily variation is strongly related to the solar irradiance, with a peak COP of 48 achieved on June 12th when total in-plane irradiance was 6550 Wh/m2. Conversely, it falls to 1.98 on 15th June when solar irradiance was only 2735 Wh/m2. As the test did not commence until June 6th, data is not available for earlier months. The monthly averages are presented in Table 3. The NDE training centre has heating and hot water provided by a Mitsubishi EcoDan 8.5kW air source heat pump fitted by MCS contractors along with an OSO 250 litre twin coil mains pressure cylinder. The cylinder also has solar thermal, but to ensure this test was air-source only, the solar circuit was drained and valved off. The building space heating remained switched off throughout the test to ensure all electricity consumed is for DHW preparation only. A duplicate control system ensures the same tapping cycle is drawn as per the other tests in the Brunel building. Limited results are available; from 21st to 26th August and from 8th September onwards due to staff holidays. The September data is presented in Fig. 3. Fig.3 shows the available data for September. Daily COP for the DHW system including tank loss is reasonably consistent within the range 1.44 to 1.88, with average for the month of 1.59. COP domestic hot water system is the daily total domestic hot water energy draw off (5845Wh) divided by the total electricity consumed by the heat pump in that day. Hence, it takes no account of tank losses. The COPs are represented in Fig 4. COPdhwsl includes tank losses and can be compared with the other two technologies. NDE tested three hot water heating technologies using EN13203 tapping cycle no. 2, a standard load profile to compare energy efficiency of different water heaters. Tapping cycle no.2 provides a typical DHW energy use of 5.845 kWh/ day, around 120 litres, in line with the SAP method predicted consumption for a 3 bedroom property. Monthly average COP values are presented based on the monitored data. The COP is calculated as the ratio of hot water load + tank losses divided by the electricity consumed in each 24hr period within the month. The results show a range of COP values for the thermodynamic system, from 1.43 in January to 2.27 in August. The daily value exceeds 2.5 on several occasions, surpassing that required to qualify as renewable under the European Commission Renewable Energy Directive. It appears the COP varies more with ambient temperature than the daily solar gain. The conventional solar thermal system COP is strongly related to the solar irradiance, with a peak COP of 48 achieved on June 12th when total in-plane irradiance was 6550 Wh/m2. Conversely, it falls to 1.98 on 15th June when solar irradiance was only 2735 Wh/m2. The monthly average is 13.0 for June, falling to 2.38 for September. The ASHP system daily COP for the month of September is reasonably consistent within the range 1.44 to 1.88, with average for the month of 1.59; due to the standing losses from the system when considered as a hot water only package (as would typically be the case in summer). As with any monitoring trial, a longer monitoring period would enable greater confidence in the conclusions drawn, but the results do show the difference between technologies when considered as units solely for the production of domestic hot water. SPF is a measure of the operating performance of an electric heat pump heating system over a year. It is the ratio of the heat delivered to the total electrical energy supplied over the year. For example, a heat pump with an SPF of 2.5 will on average deliver 2.5kWh of heat for every 1kWh of electricity it uses. The SEPEMO report (http://ec.europa.eu/energy/intelligent/projects/sites/iee-projects/files/projects/documents/sepemo-build_final_report_sepemo_build_en.pdf) describes SPF as evaluation of field measurement data according to the defined system boundaries, and notes (p.17): There are different existing standards and regulations for calculating the SPF. These calculation methodologies are mainly based on input from the testing standard EN 14511. The system boundaries of testing standards are however focused on the heating or cooling unit itself. In comparing test results, the system integration is not taken into account. Therefore these standards do not include the entire energy consumption of the auxiliary drives on the heat sink and heat source side. Four SPF methodologies are used in SEPEMO, which include an increasing amount of auxiliary devices in the system e.g. circulator pumps, air source fans etc. SPFH1 contains only the heat pump unit and evaluates the performance of the refrigeration cycle. The system boundaries are similar to COP defined in EN 14511. It is therefore effectively a lab test, but may exclude the energy consumption of any air fan or ground pump. SPFH2 contains the heat pump unit and the equipment to make the source energy available (e.g. ground pump, air fan) for the heat pump. SPFH2 evaluates the performance of the HP operation, and this level of system boundary responds to SCOPNET in prEN 14825 and the RES-Directive requirements. It is therefore effectively a lab test, but includes the energy consumption of any air fan or ground pump. SPFH3 contains the heat pump unit, the equipment to make the source energy available (e.g. ground pump, air fan) and the back up heater. SPFH3 represents the heat pump system and thereby it can be used for comparison to conventional heating systems (e.g. oil, gas boilers etc). The back-up heater consumption to ‘make-up’ temperature for high load conditions e.g winter and DHW production may have a critical impact on the SPF, especially in a poorly designed or operated system where electric boost heating is often used. SPFH4 contains the heat pump unit, the equipment to make the source energy available, the back up heater and all auxiliary drives including the auxiliary of the heat sink system. SPFH4 represents the heat pump heating system including all auxiliary drives which are installed in the heating system. It is therefore similar to SPFH3 but with the addition of pump energy in the heat distribution system. All the above SPFs are aimed at reporting performance of systems predominantly for space heating. 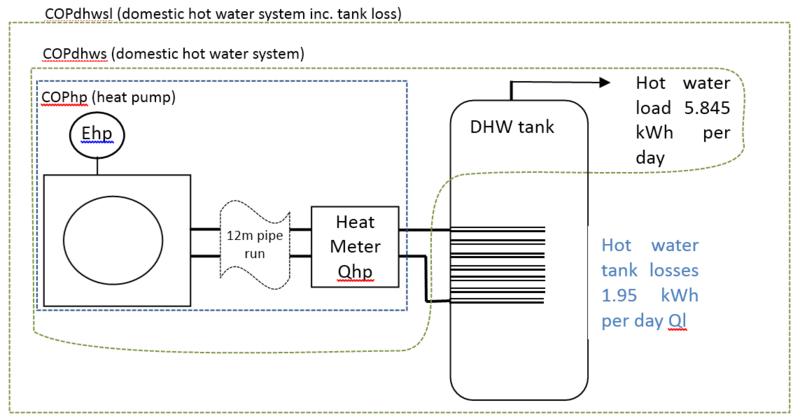 Although hot water service can also be measured using SPFH3 and SPFH4, in order to compare hot water performance of different water heaters the product COP should be determined using tapping cycles to give fair comparison, as the tank losses need to be included. There has been a large amount in the media recently over the “green levies” on fuel bills, or as some refer to them, the “green taxes”. On Wednesday the 23rd October this became more prominent politically after an announcement in Prime Minister’s Questions to review them. However, there is a large amount of misunderstanding and misinformation regarding these levies. The first question is what percentage of the average bill is actually due to these levies? The Department of Energy and Climate Change (DECC) has calculated the energy bill split, which is shown in Figure 1. As can be seen, the “green levies” actually make up a small amount of the bill . With the figures of how much these measures cost, now let’s look in more detail at each of them. The £3 that the average user pays towards the energy companies a year for Smart Metering and Better Billing is spent on the roll out of smart meters, which will be completed by 2020. The ideas behind this are that they will allow more accurate bills, and also allow people to understand how they are using energy in their own home with more clarity, and so save energy. It is intended to help with reducing fuel poverty, but also it will help the electrical networks through giving a better picture of where energy is being used and where it is not. This is the major part of the “green tariffs” which are opposed by certain parts of the media. 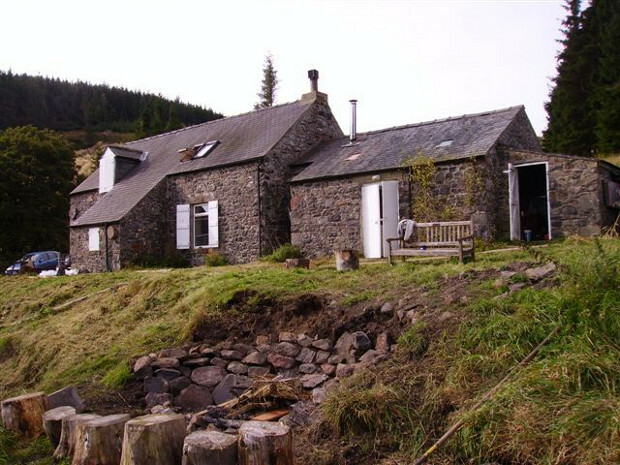 The idea of ECO is to insulate the homes of those in the worst fuel poverty. It replaced the CERT and CESP schemes which insulated many homes across the UK. If you had free cavity wall insulation and loft insulation given to you in the past few years, this is how it was funded. Other measures included 303 million light bulbs, which OFGEM stopped on the 1st of January 2010 over concerns because it was not clear whether they were being used and research suggested enough had been distributed to satisfy demand. Further measures included renewable energy systems and energy efficient appliances. With ECO, the government now feels that enough of the “easy” to insulate homes have been improved. There are many homes which are more difficult to insulate, such as those with solid walls and no cavities. ECO is designed to help those in “hard to treat” homes. The energy companies are obligated to use this money to “provide measures which improve the ability of low income and vulnerable households”, ie. People in fuel poverty. An example of these improvements can be seen in Figure 2 below taken from . These show the difference between a typical post war system built house without insulation, and the next door neighbour which has external wall insulation. As can be seen, the loss of heat from house B is significantly reduced**. Figure 2: Thermal image of Wimpey No Fine system built homes. “A” has no insulation and “B” has external wall cladding. Homes like “A” are to be targeted under ECO using measures like “B” has. Obviously, the main driver for these is to tackle climate change, but that is another subject for another blog. The Feed in Tariff has led to a major increase in jobs in the UK, all for (on average) £7 a year per household. Destroying the Feed in Tariff so save £7 a year per household would lead to massive redundancies in the domestic renewable energy installer market – as well as the supporting industries. Destroying businesses and encouraging redundancies will clearly throw more families into poverty. 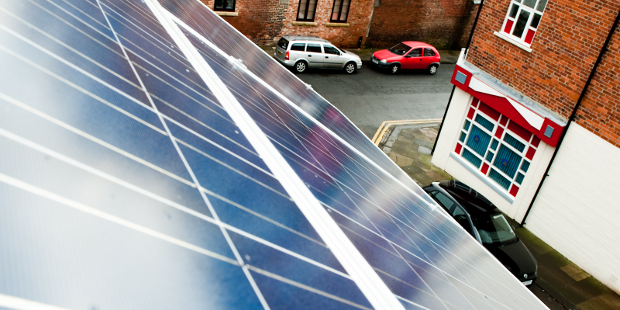 An important point which is not considered when criticising the Feed in Tariff is that many housing associations have used the Feed in Tariff to allow them to roll out renewable energy to residents. Many social housing areas in the North East of England now have solar panels, which can reduce residents energy bills by £65* a year. This is an example of how the Feed in Tariff is used to reduce fuel poverty. Housing Associations involved in such schemes include South Tyneside Homes, Your Homes Newcastle and South Tyneside Homes. Moving onto the Renewable Obligation, increasing renewables will also insulate the UK against the ever increasing wholesale costs of fossil fuels. This is one of the economic arguments for renewable energy. £13 a year from the average bill go to actual taxes on carbon. These go to the European Emission Trading Scheme (EU ETS) and the Carbon Floor Price. Tackling climate change is vitally important, but the purpose of this blog is not to discuss these issues, it is to discuss how “green levies” are spent. Approximately £1 a month per household goes to actual real carbon taxes. The majority of Green Levies go to schemes to reduce fuel poverty. By removing this funding, those who are most vulnerable will have no support to improve their homes and lift them out of fuel poverty. Renewable Energy funding will help insulate the UK against future wholesale gas prices, and is also used by housing associations to fund schemes to lift residents out of fuel poverty. The only real “green tax” is the £13 which goes to the EU ETS and Carbon Floor Price. Removing that won’t really help with bills. Essentially, removing the “green levies” component of energy bills will remove assistance for those in fuel poverty. Department of Energy and Climate Change, Estimated impacts of energy and climate change policies on energy prices and bills, London: UK Government, 2012. OFGEM e-serve, Community Energy Saving Program Update, London: UK Government, 2013. OFGEM e-serve, The final report of the Carbon Emissions Reduction Target (CERT) 2008-2012, London: UK Government, 2013. [*] This is based on a price of £ 0.146057/kWh for electricity, based on data from www.energy.eu. The energy yield of a photovoltaic system pointing south at an incline of 35° based in Newcastle is 902 kWh/year. We assume only half this electricity is used by the resident and the rest exported. [**] It is important to state the example below was paid for by the European Regional Development Fund (ERDF), not ECO, but it is a good image of the type of work ECO is designed for.